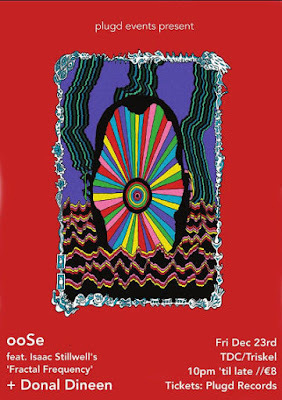 Post-post-post rockers Private Underground Residence are set to make a welcome return in 2012 to the roaring furnace that is the current Cork live music scene. 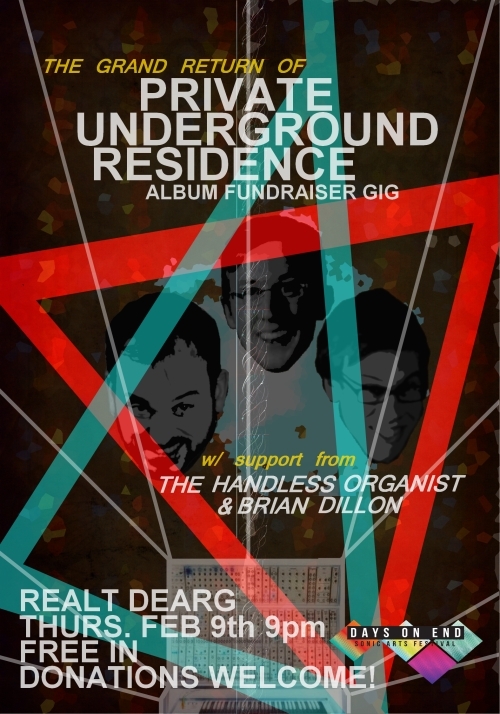 The Cork/Limerick noise-jugglers will make An Realt Dearg their circus tent for one night on February 9th. After a hiatus spanning pretty much the entirety of 2011 (6 months off and another 6 months recording, practising etc. 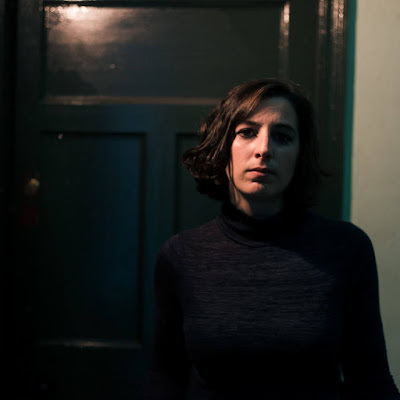 ), Private Underground Residence left us hanging with the eye-watering, genre-bending 'Snuffbox' which will feature on the record, currently being recorded with John "Spud" Murphy in Guerilla Sounds studios, set for release this year. Support comes in the form of The Handless Organist and Brian Dillon. 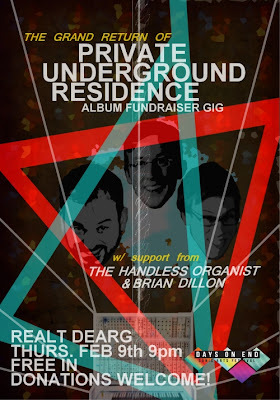 The Realt Dearg gig will act as a precursor to the coming Days On End Sonic Arts Festival that takes place in various venues across Cork the weekend of the 10th, 11th and 12th February. More details to follow on Days On End at a later date.